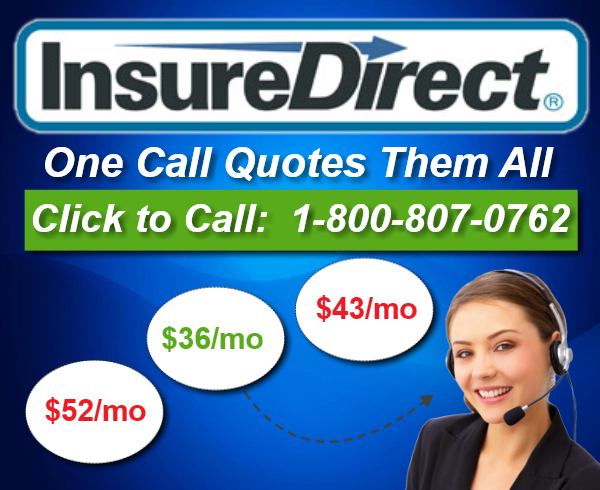 Car and Home Insurance Quotes from one insurance company will generally give better discounts. In Florida, insurance rates are much higher compared to most states in the US. Florida car and home insurance quote premiums alone in 2011 registered an average rate of 25% higher than the national average – Florida’s average car insurance premium is at $1,880 while the national average is only at $1,382. On home insurance rates, most premiums in the state last year are priced at the range of $1,000 – 1,1000. Since Florida insurance rates are quite expensive, the need to seek the cheapest Car and Home Insurance Quotes to get your properties secured is strong. By purchasing both car and home insurance from a single insurance company in Florida will give you the opportunity to avail yourself of a discount of 15 to 25 percent. Having a home insurance policy will protect you and your home from financial liabilities in the event that your home is damaged by hazards and unfortunate events covered in your policy such as fire, bad weather, theft and possible lawsuits. As for the latter, lawsuits may stemmed out from accidents pertaining to your property. Fighting lawsuits is expensive and you will surely need the help you can get. Your home insurance quotes will vary primarily to the coverage you want to have. Your home insurance coverage may include replacement and repair cost to your home when it is damaged by the covered hazards and events, protection to other structures attached to your homes such as external garages, protection for home contents or personal property coverage, loss of use which will cover for your alternative accommodation in the event that your home is inhabitable, personal liability protection which will protect you against lawsuits, and medical payments which will help in the event that you or your family members suffer injury in your property. Having minimum car insurance coverage is required in all states in the US to protec t individuals from property damage and to possible liabilities which your vehicle may bring upon to you and to other people. In Florida, one is required to carry a property damage liability coverage and person injury protection before you can register your vehicle and drive legally within the state. Each coverage must have at least a $10,000 limit. Shopping for car and home insurance quotes online is the most convenient and easiest way for you to purchase your needed protection. To get your car and home covered, you may now start getting insurance quotes. Advertisement: Cheaper Auto Insurance is no Joke!